The women’s track and field team of Ho Chi Minh City including Le Tu Chinh, Le Thi Mong Tuyen, Luu Kim Phung and Ha Thi Thu excellently won a gold medal in the 4x200m relay of the 2017 National Track & Field Championships this morning. 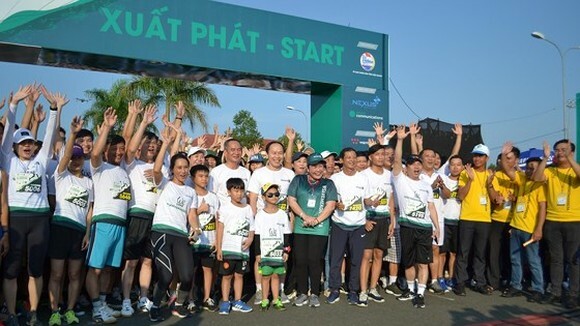 With an achievement of 1’34’’95, the Ho Chi Minh team broke 4x200 meter relay record which Vu Thi Huong, Le Ngoc Phuong had set up four years ago. 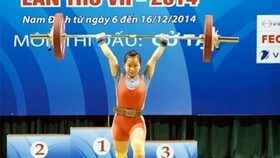 Yesterday, Le Tu Chinh grabbed the first gold medal in women’s 100 meters category with a victory of 11. 55 second. HCMC team is expected to win two more gold medals in the upcoming competitive days in the women’s 200 meters and 4x100 meter relay. 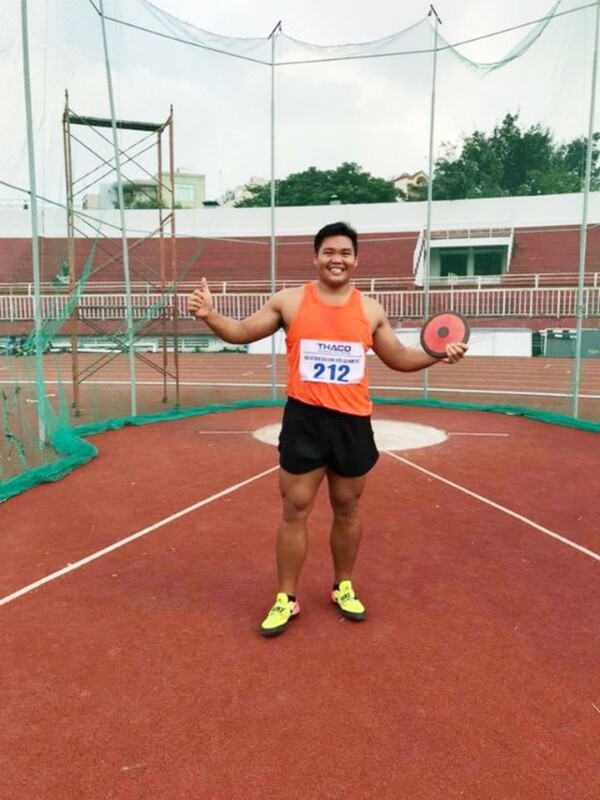 This morning, athlete Phan Thanh Binh brought one more gold medal with his achievement of 45.35 meters for the Ho Chi Minh City team in the men’s discus throw. Phan Thanh Binh wins one a gold medal for the Ho Chi Minh City team in the men’s discus throw. 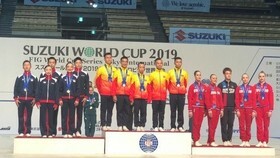 Gold medalist in the 3- steps jumping belonged to Bui Thi Thu Thao from Hanoi team with a victory of 13.58 meters. 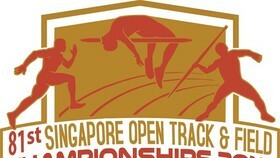 Nguyen Thi Huyen and Ngoc Nghia won gold medals in the 100 meters running.